A Green Card holder (permanent resident) is someone who has been granted authorization to live and work in the United States on a permanent basis. As proof of that status, U.S. Citizenship and Immigration Services (USCIS) grants a person a permanent resident card, commonly called a "Green Card." You can become a permanent resident several different ways. Most individuals are sponsored by a family member or employer in the United States. Other individuals may become permanent residents through refugee or asylee status or other humanitarian programs. In some cases, you may be eligible to file for yourself. 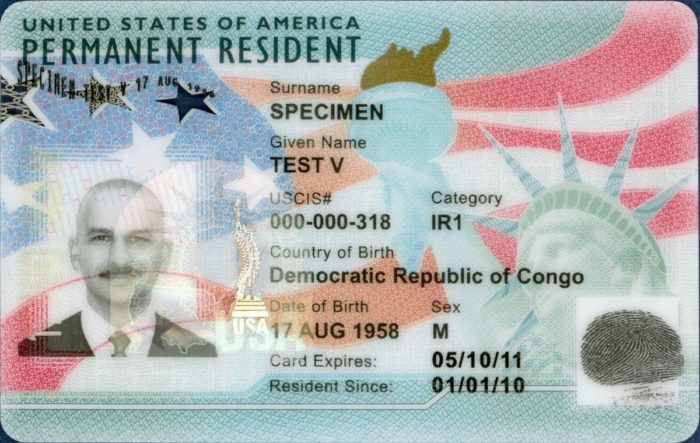 A green card allows a non-U.S. citizen to gain permanent residence in the United States. Many people from outside the United States want a green card because it would allow them to live and work (lawfully) anywhere in the United States and qualify for U.S. citizenship after three or five years. Every year, the U.S. government issues more than a million green cards. Most are given to family members of U.S. citizens and current green card holders, followed by workers from other countries seeking employment in the United States as the next biggest group of recipients. But there are many other categories of green cards. This field guide provides a basic overview of the most common types and who can apply for them. Boundless can help spouses of U.S. citizens and current green card holders with their marriage-based green card application. We turn all the required government forms into simple questions you can answer online — typically in under two hours. Learn more, or get started today. Close relatives of U.S. citizens and current green card holders may apply for family-based green cards of their own. Eligible family members include spouses, children, parents, and siblings (as well as the spouses and children of those spouses, adult children, and siblings). Also included in this category are widows and widowers who were married to a U.S. citizen at the time the citizen died. Like spouses of living U.S. citizens and current green card holders who apply for a marriage-based green card, widows and widowers must prove that their marriage was authentic in order to receive a green card. Many extended family members — cousins, aunts and uncles, and grandparents — do not qualify. They may apply for a green card only if they, too, have a closer relative who is a U.S. citizen or current green card holder (or qualify for one of the other types of green cards below). he terms “permanent resident” and “U.S. citizen” are often confused with one another. Although both confer rights to live legally in the United States, they mean very different things, as described below. Permanent residence includes the right to work here and to petition for close family members (your spouse and unmarried children) to receive permanent residence and join you. However, your family members will be considered “preference relatives,” meaning that only a limited number of immigrant visas are available to people in this category per year, and so they are likely to spend five or more years on a waiting list before being allowed to enter or remain in the United States or get a green card. Permanent residents continue to remain the citizen of another country. So every time you travel outside the United States, you must carry the passport of that country as well as your green card. You will use your green card to reenter the United States. There are important limitations on lawful permanent residents’ rights, however. You do not have any rights to vote in U.S. elections. If you leave the United States with the intention of making your home elsewhere, you will be considered to have abandoned your residence and given up your green card. Contrary to popular myth, you can abandon your residence in as little as one day. However, it’s true that immigration authorities will take a closer look if you spend more than six months outside the United States. And if you spend more than a year outside the United States, the authorities will presume that you have abandoned your residence, and you will have an uphill battle convincing them otherwise. If you plan to leave the U.S. for a period exceeding 12 months, it’s a good idea to obtain a reentry permit first. Upon your return from travel, you are subject to the same grounds of inadmissibility as you faced when you first got the green card. So, for instance, if you have been receiving government assistance or welfare, you could be excluded at the border as a public charge. Another important limitation on lawful permanent residents is that they are subject to the grounds of deportability. If you commit certain crimes or security violations, or even fail to advise USCIS of your changes of address, you can be placed in removal proceedings anddeported from the United States. After a certain length of time – five years in most cases – permanent residents who have shown good moral character and can speak, read, and write English and pass an exam on U.S. history and government can apply for U.S. citizenship (to naturalize). People can become U.S. citizens by birth in the United States, through U.S. citizen parents (depending on the laws in effect at the time of their birth), or through the process known as naturalization. 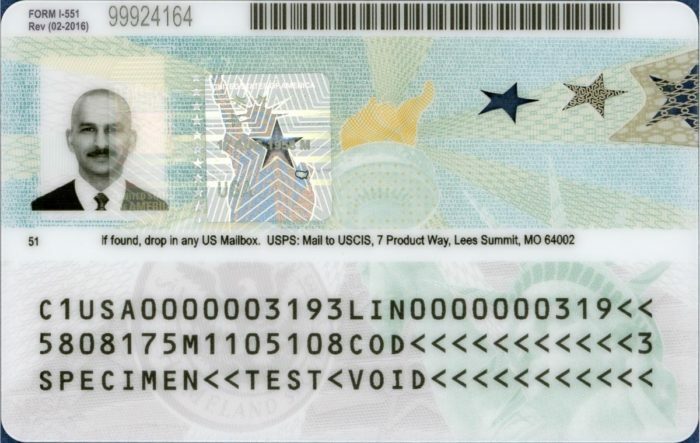 A U.S. citizen is eligible to receive a U.S. passport, which is issued by the U.S. State department. Many countries allow visa-free travel for U.S. citizens. A U.S. citizen can leave and reenter the U.S. at any time without being subject to the grounds of inadmissibility or requiring a reentry permit. There are no restrictions on the number of days you can remain outside the United States. U.S. citizens can vote in U.S. federal and local elections, hold certain government jobs, and serve on juries. Many federal and state government grants, scholarships and benefits are available only to U.S. citizens. U.S. citizens cannot be deported from the United States – unless, that is, they committed fraud in order to obtain their green card or citizenship.